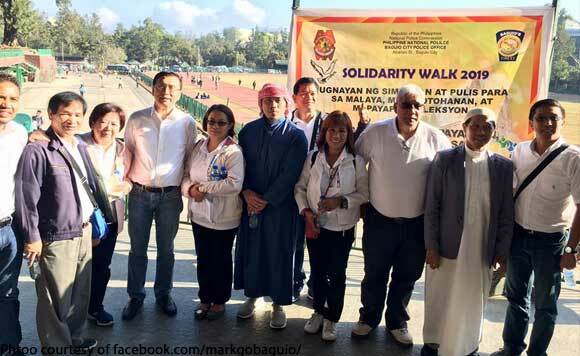 The Baguio politiko made the statement during the Solidarity Walk for Honest Elections organized by the Baguio City Police Office last March 16. “It is unfortunate that one could easily resort to mudslinging and character assassination just to get ahead. While no lives are taken, we cannot allow dirty tactics and squid mentality to prevail. For even if no physical lives are lost, the well-being, emotional, and psychological welfare of candidates and their families are in the balance,” he explained. “We all know what to do to achieve an ideal election, but saying it and doing it are two different things. We march today, to show the people that we care about their votes. In the end, how we compete would be judged not just by the votes, but by the God who sees everything,” Go added.